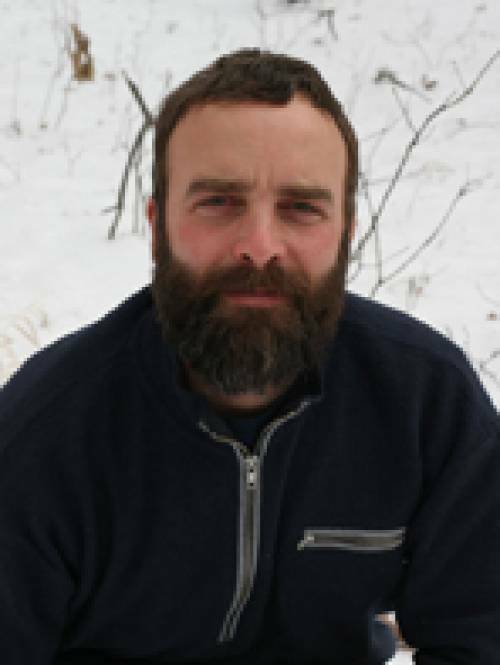 Stambaugh’s research primarily concerns changes in forest ecosystems, both in time and space. Stambaugh is interested in documenting past changes in forests as a means for understanding potential future scenarios. His research commonly utilizes tree-rings because they are excellent archives based on their ability to: span long time periods (millennia), be precisely dated, and provide information at a sub-annual resolution. Currently he supervises research conducted by the Missouri Tree-Ring Laboratory (web.missouri.edu/~guyetter). Stambaugh, M.C., R.P. Guyette, J.M. Marschall, and D.C. Dey. 2016. Scale dependence of oak woodland historical fire intervals: contrasting The Barrens of Tennessee and Cross Timbers of Oklahoma, USA. Fire Ecology 12(2): 65-84. Voelker, S.L., R.J. Brooks, F.C. Meinzer, R. Anderson, M.K-F. Bader, G. Battipaglia, K.M. Becklin, D. Beerling, D. Bert, J.L. Betancourt, T.E. Dawson, J.-C. Domec, R.P. Guyette, C. Korner, C., S.W. Leavitt, S. Linder, J.D. Marshall, M. Mildner, J. Ogee, I. Panyushkina, H.J. Plumpton, K.S. Pregitzer, M. Saurer, A.R. Smith, R.T.W. Siegwolf, M.C. Stambaugh, A.F. Talhelm, J.C. Tardif, P.K. Van de Water, J.K. Ward, L. Wingate. 2015. A dynamic leaf gas-exchange strategy is conserved in woody plants under changing ambient CO2: evidence from carbon isotope discrimination in paleo and CO2 enrichment studies. Global Change Biology DOI: 10.1111/gcb.13102. Stambaugh, M.C., J.M. Varner, R.F. Noss, D.C. Dey, N.L. Christensen, R.F. Baldwin, R.P. Guyette, B.B. Hanberry, C.A. Harper, S.G. Lindblom, and T.A. Waldrop. 2015. Clarifying the role of fire in the deciduous forests of eastern North America: reply to Matlack. Conservation Biology 29:942-946. Voelker, S.L., M.C. Stambaugh, R.P. Guyette, X. Feng, D.A. Grimley, S.W. Leavitt, I Panyushkina, E.C. Grimm, J.P. Marsicek, B. Shuman, and B.B. Curry. 2015. Deglacial hydroclimate for midcontinental North America. Quaternary Research 83:336-344. Voelker, S.L, P.-E. Noirot-Cosson, M.C. Stambaugh, E.R. McMurry, F.C. Meinzer, B. Lachenbruch, and R.P. Guyette. 2012. Spring temperature responses of oaks are synchronous with North Atlantic conditions during the last deglaciation. Ecological Monographs 82:169-187.